I'm currently test driving two new purchases and an older purchase. I'm impressed so far with the Quik Dry oil, full review will be posted when I have fully test driven the product! I'm wearing all three at the moment and they look quite interesting. They've been on my nails for 2 days, only minor chips, didn't have much hopes for the Hello Kitty polish but it went on lovely! Full reviews to come! 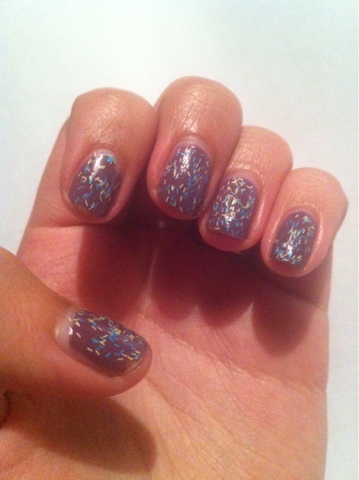 Also have another Barry M confetti polish so both colours will be reviewed at once!